About 4 or 5 yrs ago I put my old Dana Designs Arc Glacier up on the shelf. Only to be pulled out to be the mule for family trips. I realized that my gear would expand to fit the size of the pack. It weighs around 7 pounds but is an exceptional design. I really wanted to get carry less weight and I could knock 5 pounds off in one fell swoop. 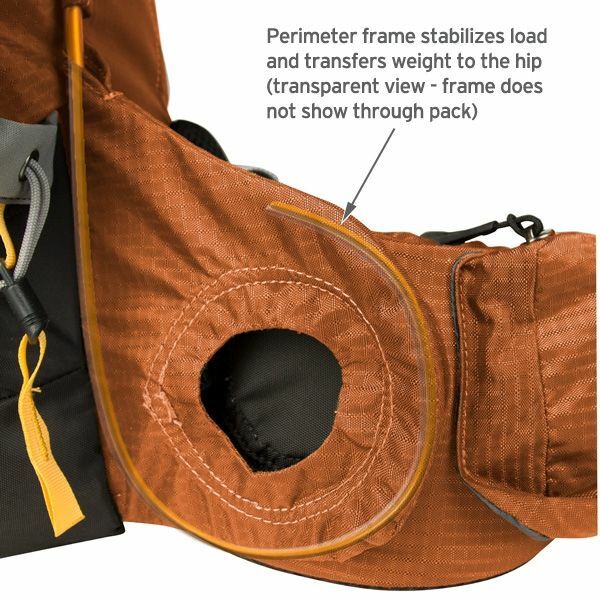 I have been using a frameless pack for the last few years now and though my legs have enjoyed the light weight, I had some circulation problems in my arms/chest whenever I carried more than 30lbs. After my weeklong hike last november I ended up selling it and looking for something that had a frame but was still pretty light. I just happened to catch the closeout sale on the golite website and saw the mens Quest 65L for 75% off (89.00). 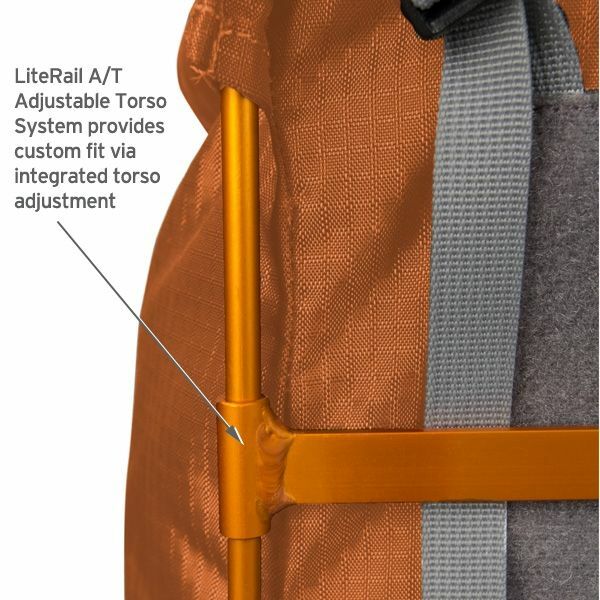 It had all of the things I like in a pack: large top opening roll closure, very accessible and oversized bottle holders, a huge stretchy pocket on the front, compression straps, and it has a unique aluminum u-frame that is connected to the waistbelt. It has waistbelt pockets that could be a little larger but they work ok for smaller stuff. The lid was a nice design but its attachment was a complete goof. I cut the straps off and replaced them with a much wider attachment on the frame that would allow the lid to conform to the top shape of the pack. With its new attachment points the lid made the pack nearly perfect for my needs. 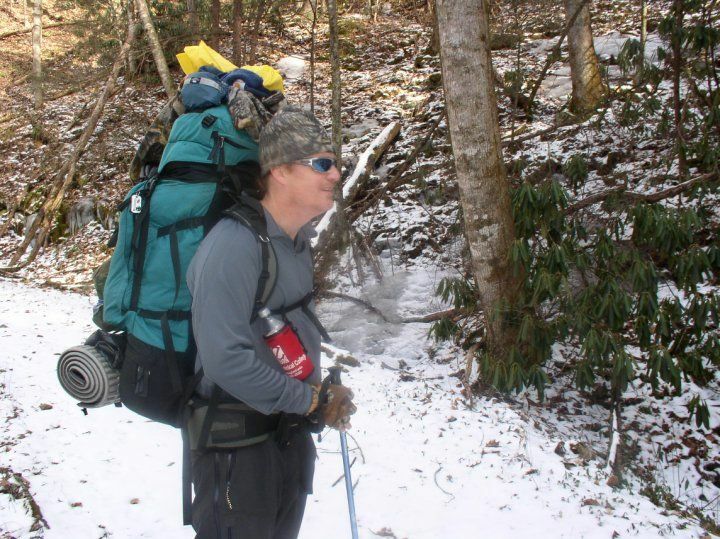 Its only use has been a 5 day hike in the smokies about a month ago. It snowed the whole time but we kept the days short and enjoyed cooking some big meals and seeing campsites or shelters in the daytime for a change. I really loved the way the pack carried. 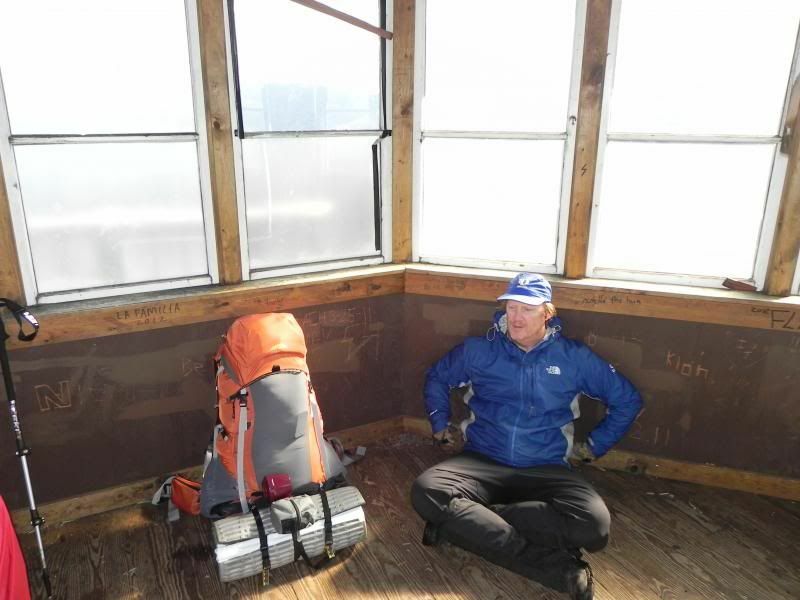 I was carrying 35lbs or so at the start and didnt experience any of the problems that I had with the frameless pack. It felt light. 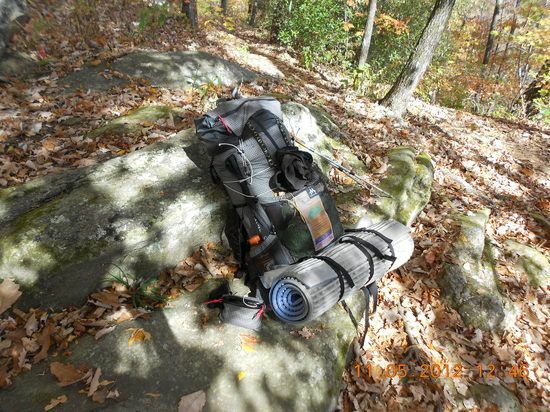 I will still use my MLD burn for trips less than a week or summer trips (less gear), but for the winter and long trips this pack will fit the bill. It weighs around 7 pounds but is an exceptional design. I really wanted to get carry less weight and I could knock 5 pounds off in one fell swoop. Is that the golite or the glacier? 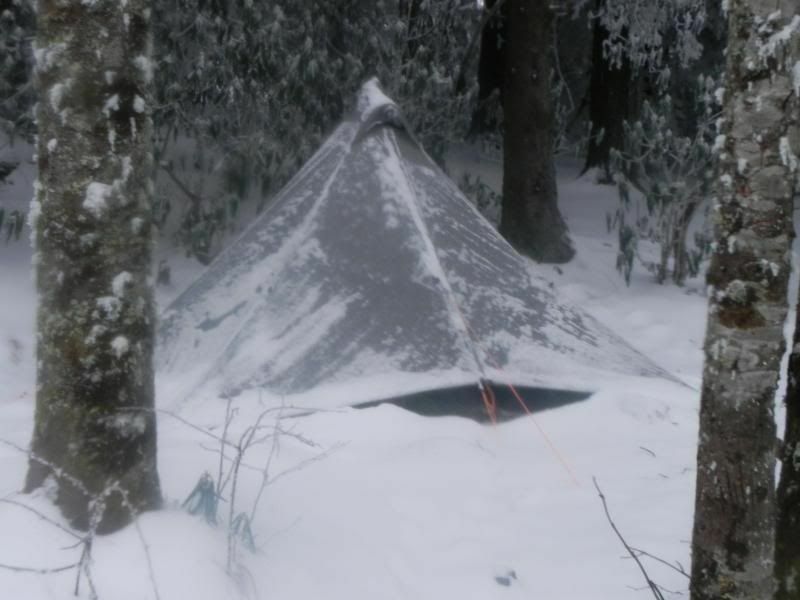 So you like being out in the snow Did you set up camp 4 of the 5 days that you were out? The glacier is the heavy pack . Incredible padding and frame at the cost of heaviness. In its heyday I would carry everything I own on each trip. Frying pans, stools, outback oven, tons of clothes, camp shoes, etc. 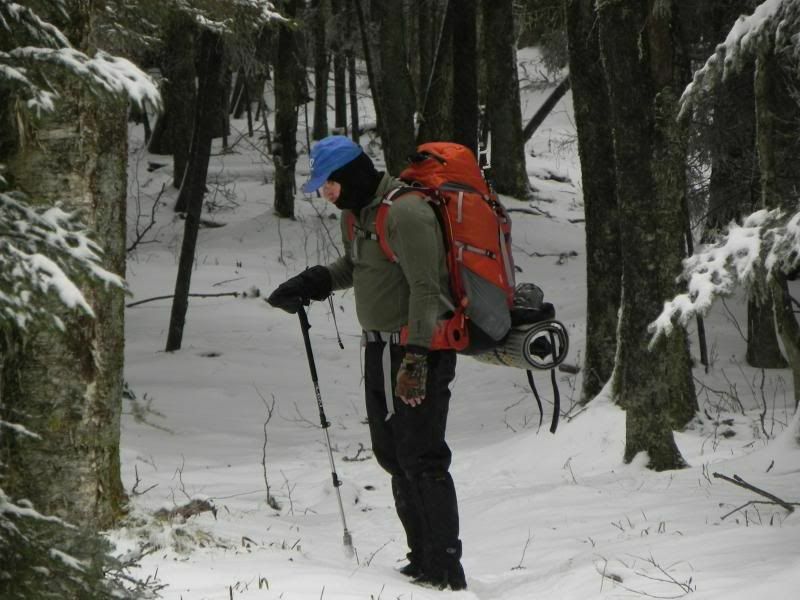 I used a cut up ridgerest folded inside the pack as a frame and used it for two winter hikes and the thru-hike. I even installed a thin aluminum u-shaped frame for the thru-hike and the problem was not as bad but still bothered me at times. the exodus loaded with 30-35lbs-foothills trail thru-hike. I kind of miss not having the extra piece of ridgerest to lay on top of my full one for extra padding. The golite pack is 3lbs12oz. Not super light at all but still significantly lighter than my old Dana Designs and oh so comfortable and the weight is transferred to my hips much better than the Exodus and almost as well as the Glacier. In its heyday I would carry everything I own on each trip. Frying pans, stools, outback oven, tons of clothes, camp shoes, etc. Having all the amenities is "good" I don't do the ultralight. What secures the adjustable torso bar, set screw? I like the looks of the perimeter frame work. Did you get the pack at any kind of discount? I got a great deal on a 75% off sale. you can still get this model (2012) for 119.00 which isnt dirt cheap but is still half the price of many popular packs and over 100.00 less than I paid for the Exodus. The Glacier is 16 years old and retailed for nearly 400.00 at the time. I wonder what they would do if they found you sleeping up there? There was definitely evidence of some fun being had. The day we were there the wind was blowing over 50mph on top. My buddy took a couple of videos up there and it is howling. side note: On every trip we talk about taking a flask of something for camp but we never do because no one wants to carry it. On the first day which is the Mt Cammerer day I walked up to the intersection of the trail having done most of the climbing for the day and looked up to see something standing on the cross brace of the trail sign. I looked around the back and saw an unopened fifth of Evan Williams. It is actually the 3rd bottle of liquor that I have found in the smokies through the years. Someone had done the work for us. I stuck it in the oversized pock on my pack and went on my way.